Park Avenue Luxury Living In Scarsdale - Now Leasing! The Heathcote an unprecedented boutique residential experience set just 30 minutes from New York City is Now Leasing. Featuring 14 elegant homes ranging in size from 1,295 to 3,190 square feet — from one-bedroom flats to a lovely duplex apartment and fantastic penthouses — the Heathcote offers a fantastic opportunity for those seeking a lavish residential experience or superb investment opportunity. All units have lovely terraces. Penthouse units can accommodate full outdoor kitchens. Schedule your tour today; only a few apartments left! Taking their cue from the finest Manhattan homes, no expense was spared in the sophisticated design and peerless craftsmanship of Heathcote residences. Open concept floor plans, high ceilings, oversized windows and outdoor spaces amplify light and air, while gas fireplaces, custom millwork and swaths of fine stone create drama. Custom chef's kitchens boast marble countertops and islands alongside professional grade appliances. Master suites include fully outfitted walk-in closets and spa-like bathrooms featuring soaking tubs, rain showers and dual-sink vanities. Each unit includes a laundry room with washer-dryer, and penthouses feature sprawling private terraces that can accommodate outdoor kitchens for the ultimate indoor-outdoor living experience. Residents enjoy a pet friendly environment, 24/7 concierge service, two indoor parking spaces plus guest parking, private storage, and an on-site fitness center.  The Heathcote is perfect for those seeking a convenient and chic city lifestyle surrounded by all of Scarsdale’s wonderful town amenities, including highly rated public schools. The Heathcote is a short distance to the elementary school, great shops and dining, and fantastic outdoor recreation. The building is flanked by two convenient shopping centers with Starbucks, Barry's Bootcamp, Chopt, CVS, Balducci's and specialty markets a block away. Local parks, private and public golf courses and tennis/paddle courts, an equestrian center, hiking and riding trails, and the town swimming pool complex are all close by. Just 30 minutes to Manhattan! Immediate Occupancy! Accommodating for the ultimate indoor-outdoor living experience. Boasting marble countertops and islands alongside professional grade appliances. Featuring soaking tubs, rain showers, and dual-sink vanities. Featuring high ceilings, oversized windows, and outdoor spaces, which apmplify light and air. Dawn Knief is a real estate salesperson affiliated with Compass. Compass is a licensed real estate broker and abides by equal housing opportunity laws.All material presented herein is intended for informational purposes only. Information is compiled from sources deemed reliable but is subject to errors, omissions, changes in price, condition, sale, or withdrawal without notice. No statement is made as to accuracy of any description. All measurements and square footages are approximate. This is not intended to solicit property already listed. Nothing herein shall be construed as legal, accounting or other professional advice outside the realm of real estate brokerage.